More than 900 A&E patients at Milton Keynes University Hospital trust waited four hours or longer to be admitted, transferred or discharged in December, figures show. 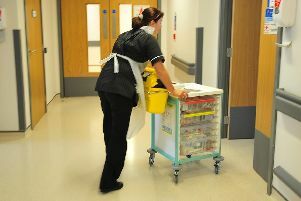 There were 7,149 emergency attendances at Milton Keynes University Hospital NHS Foundation Trust in December. Of those, 915 patients waited more than four hours to be admitted, transferred or discharged. The NHS’s target is for 95% of patients to be dealt with in four hours, but at Milton Keynes University Hospital trust, it was just 87%. This was better than December 2017, when 81% of patients were seen within four hours.